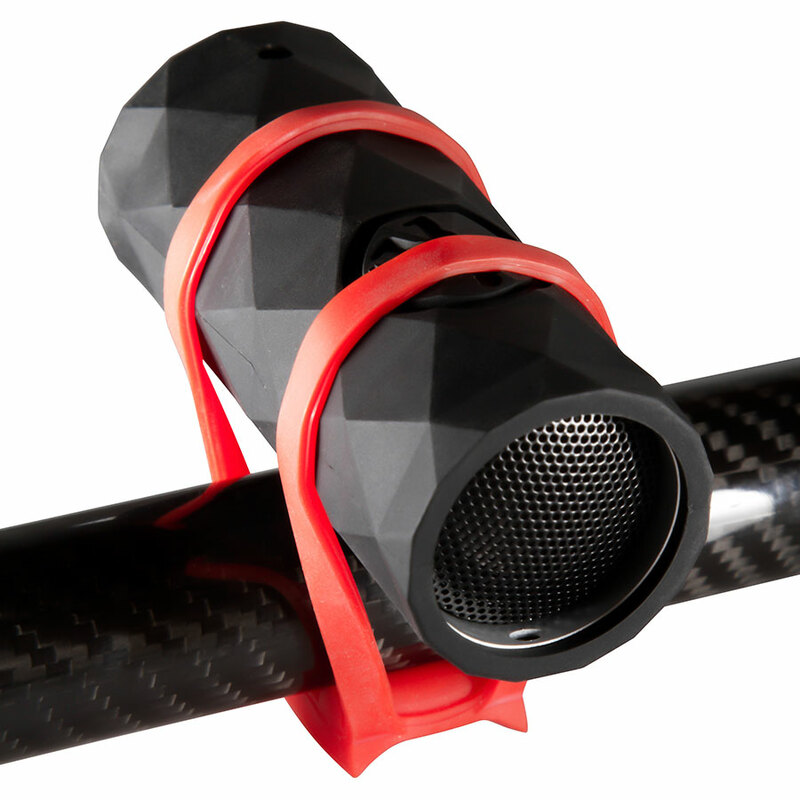 Speaker, charger, flashlight that attaches to your bike. When this Buckshot Pro showed up for a demo, I thought, “now that looks like a bike party….” It’s a portable rugged speaker that has a passive bass port for bigger sound, a 2600mAh powerbank for charging devices, AND a flashlight. So you can ride with the speaker end towards you, charge your phone, and shine some light on the trail (or keg). Play some music, charge your phone, light the path. 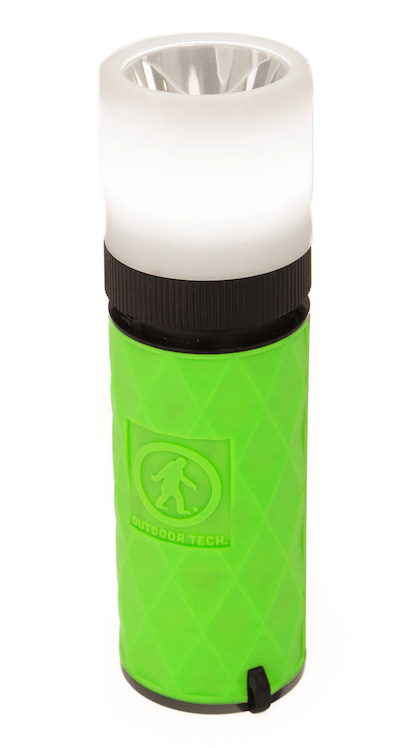 This is the second product we’ve had in from Outdoor Tech and like them both. The Turtle Shell Boombox I spotted a few years ago at Interbike, ended up in the garage, on the workbench and has remarkable sound, considering the form factor. 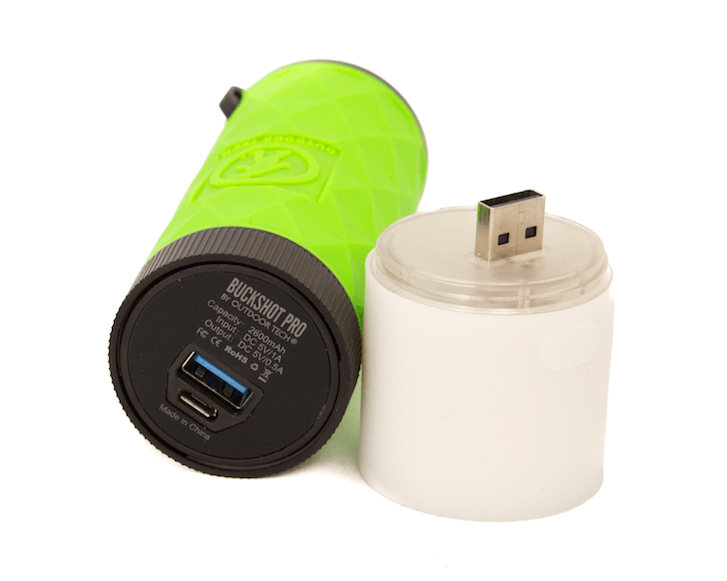 If you don’t want the two extra features from the Buckshot Pro for $79.95 – flashlight/usb charger – the regular Buckshot ships from Amazon with Prime for $49.95.